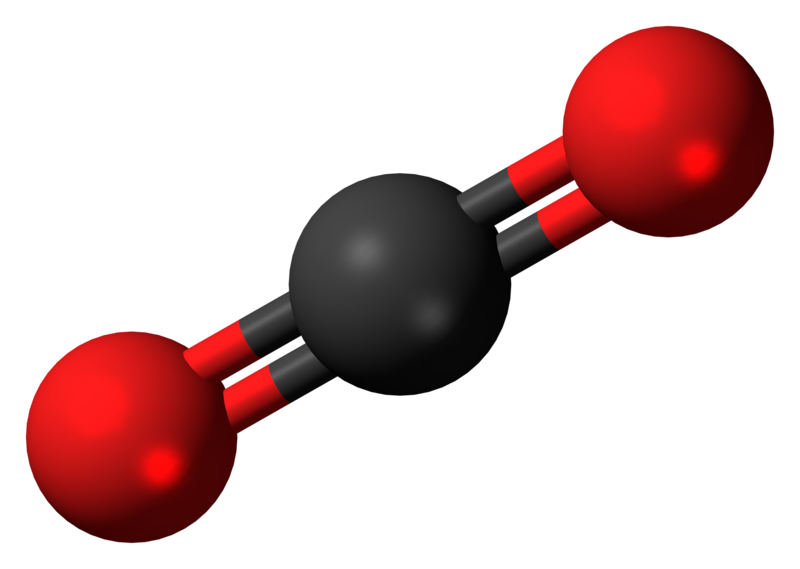 Everyone should be excited to think they can do something along the coastline for storage and sequestration of carbon. By doing so you can balance your carbon footprint. 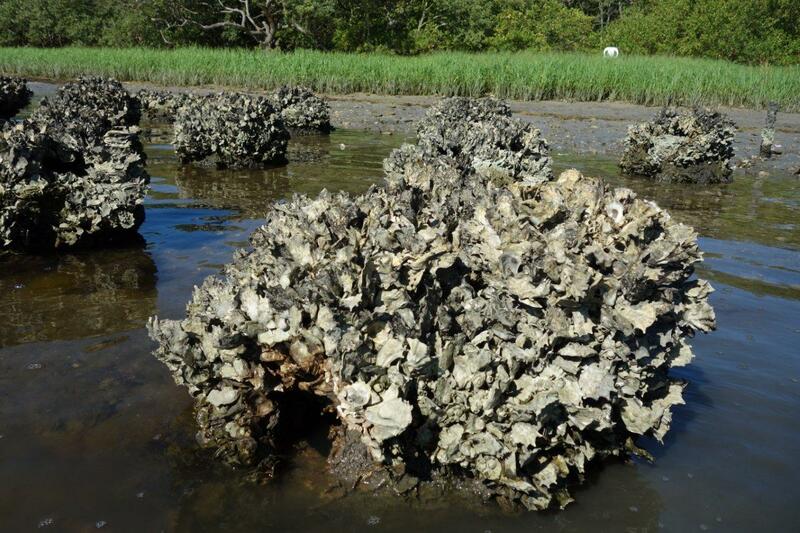 Or perhaps you need to buy some blue carbon credits by supporting Reef Ball Living Breakwater projects that protect salt marsh, mangroves, or restore habitat for Juncus and Spartina . The formula for calculating the carbon credit can be quite difficult, however you could always take the default value, used to calculate the credit for marsh grasses, mangrove and sea grass. Ideally the amount of credit you get per year will go increase over time. So protect what you can claim and restore more areas that were lost with construction and development. 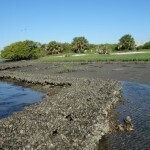 Typically a sea wall eliminates marsh grasses and mangroves and causes more erosion along the seawall edge. Reef Balls allow for a fresh flow of water, and the accretion of sands along the seawall providing a place for Juncus and/or Spartina to grow. 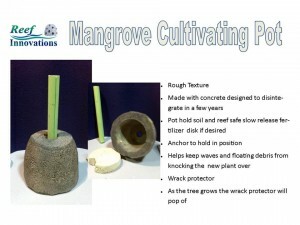 In your project to sequester carbon, you will probably need some kind a wave attenuation, Reef Balls have been used for shoreline protection with great success since the 1990’s By stopping wave action you can reduce or stop erosion thus keeping the carbon stored in the salt march or mangroves. 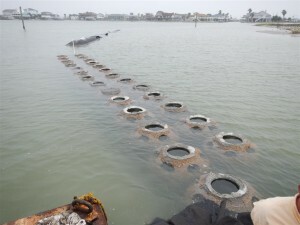 Reef Balls protecting eroding marsh. By providing wave attenuation the Reef Ball breakwater stop the wave action that is causing the erosion. As salt marsh areas continue to erode they release carbon so we must take steps to protect and restore the marsh ecosystems. How much must be done? In some areas a full breakwater may be necessary to stop or reduce the wave action. 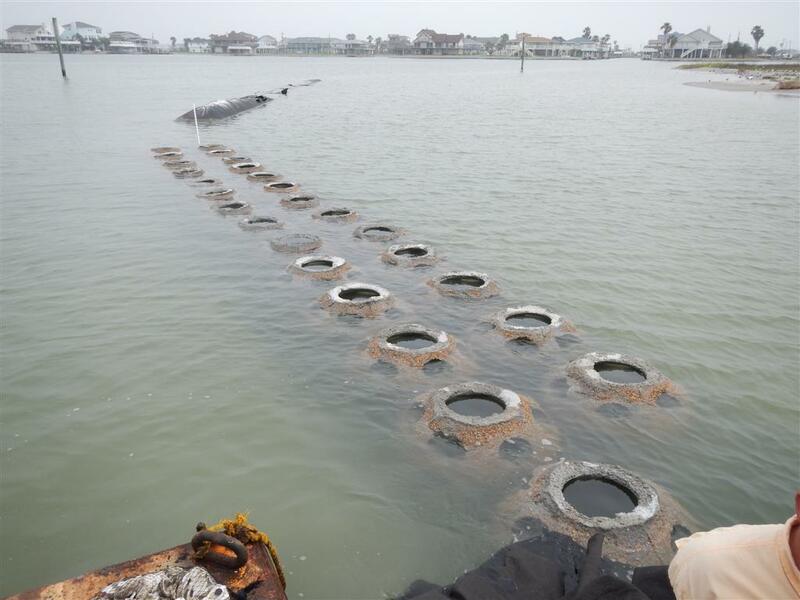 In other area, placing Reef Balls scattered across the area will allow for developing of a aesthetic appearing oyster bar system. 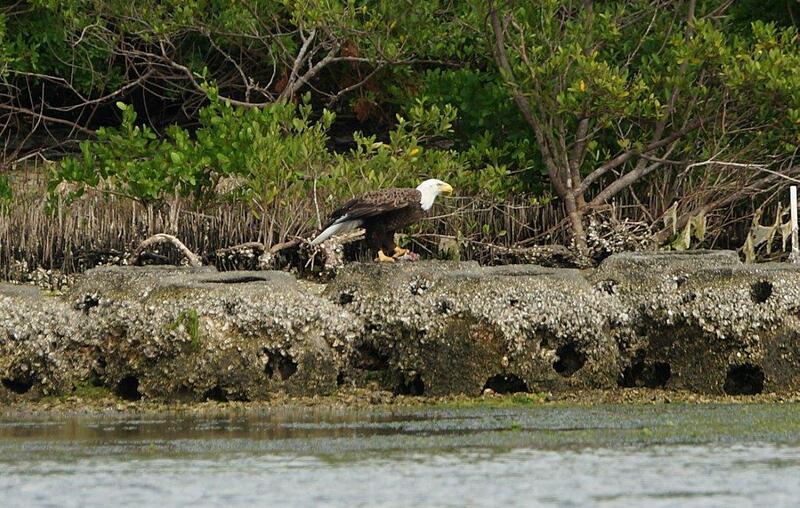 Mangroves can sequester larger quantities of carbon than seagrasses and marsh grasses. 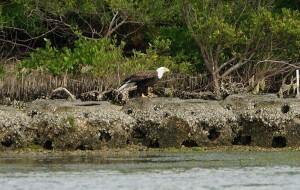 In addition Mangroves are a great protection from wave action and large storms. Planting Mangroves in Reef Balls, help to hold them in place as as they take hold. They can also be started in a nursery area and transplanted / places along the shoreline, when they reach a ideal height. We also have a Mangrove Cultivating Pot designed to accelerate the mangrove restoration process. A solid or nearly solid breakwater such as rock piles will stop the wave action, but it also reduces the flow of water to the shoreline. You will not find the same accretion of sand behind a solid barrier and in front of solid breakwater the wave action reduces the marine live and may cause additional erosion on the seaward side. 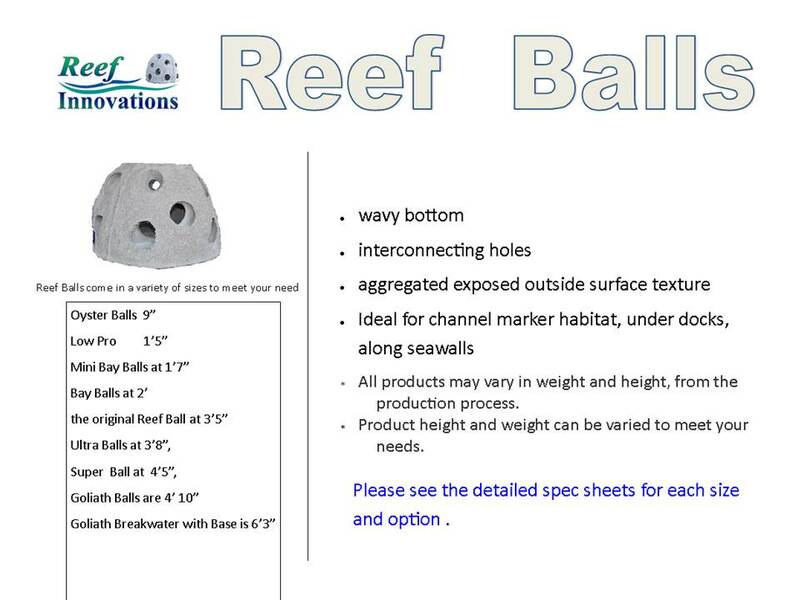 Reef Ball provide EFH essential fish habitat, have a large surface area and the patented design produces micro eddy currents that are important for filter feeders creating a true Living Breakwater, full of marine life. In area’s that oyster thrive the height of the Living Breakwater can grow as sea level rises. Over time as the communities change, from Oyster to Corals at water temperature rises and temperature increases. Often rubble and materials used can have toxins in them that will reduces the marine life. 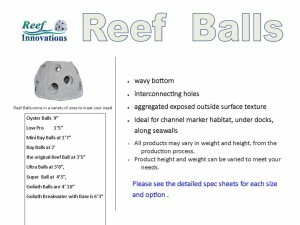 Reef Balls are inert, the original design was for Coral Restoration, however, over since the 90’s Reef Balls have been used in a large variety of ecosystems with various benefits.